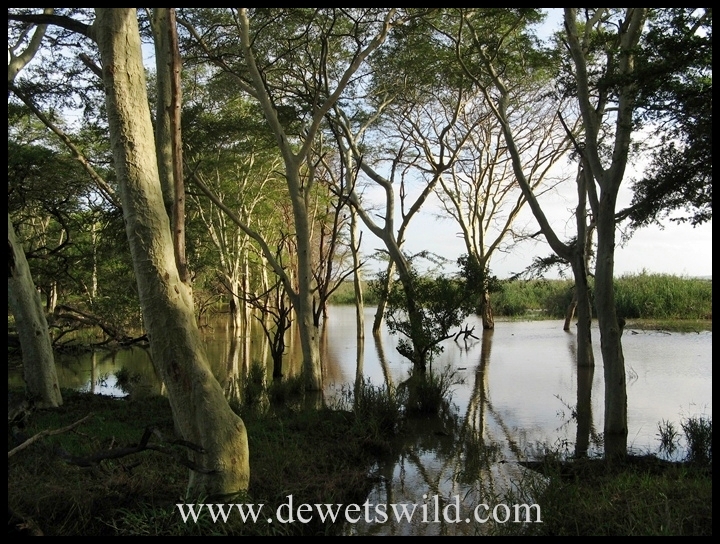 These are the fever-tree lined shores of Nsumo Pan, a vast wetland which is a central feature of the uMkhuze Game Reserve (which has recently been incorporated into the Isimangaliso Wetland Park). We’re participating in LetsBeWild.com‘s Wild Weekly Photo Challenge. This week’s challenge is Water. 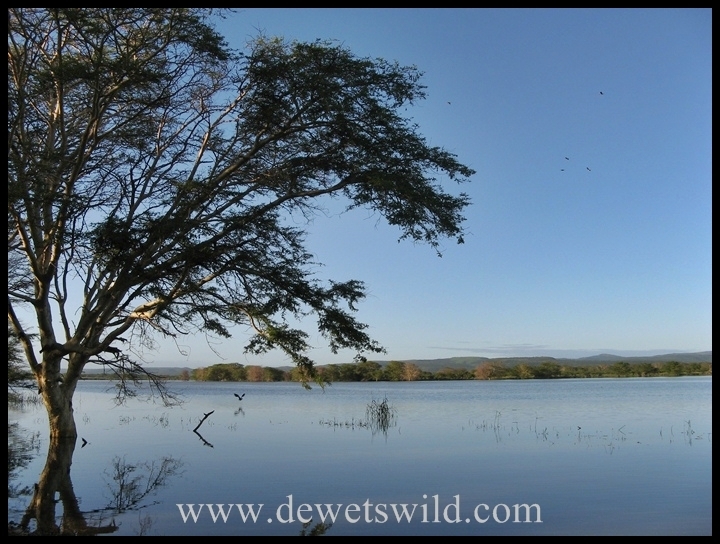 This entry was posted in iSimangaliso Wetland Park, Kwazulu Natal Province and tagged iSimangaliso Wetland Park, nature, Nsumo Pan, outdoors, travel, uMkhuze Game Reserve, vacation, wildlife on November 1, 2012 by de Wets Wild. The camera just loves the black-and-white of the zebras’ stripes! uMkhuze is a beautiful place Lu, especially in the wet season when Nsumo Pan reaches right up to the road. Thanks for stopping by!